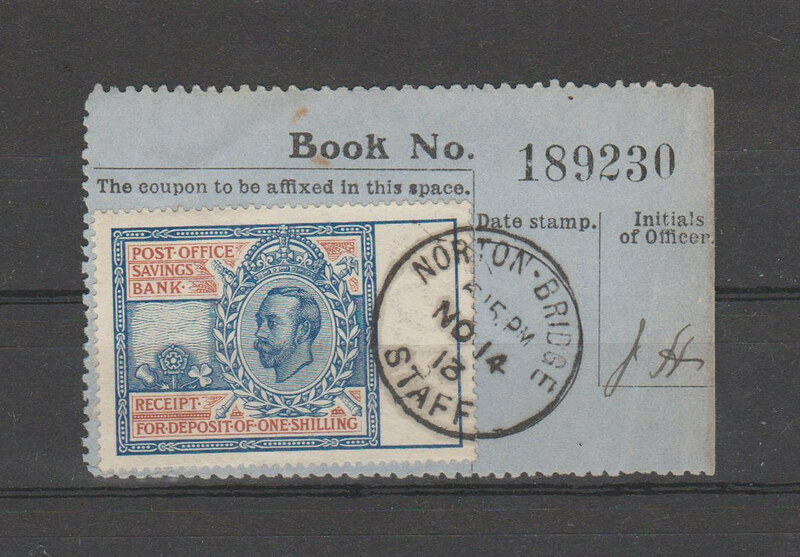 Here is a classic British Post Office Savings stamp. From the reign of George V depicting the controversial Downey head portrait. As with the definitives, the portrait would be replaced with a full profile view.